I love the story of Sean Minor wines. Here’s a hard-working guy who was toiling in the Napa vineyards for over 20 years, and making some delicious, well-regarded wines – but for others. Sean worked for notable wineries King Estate Winery and Renwood, but wanted to do his own thing, so in 2005 founded Four Bears Winery and Sean Minor Wines. The “four bears” are named for Sean’s four children, and the wine I’m reviewing today is named after his wife, Nicole Marie. I belong to a few California wine clubs, and these days if you want a good red blend from Napa Valley, you can expect to pay somewhere in the $40 to $50 range, so I was skeptical when I picked up a bottle of the Nicole Marie blend. How good could it be for $19? Well, I’m happy to report this blend of mostly Merlot, with Zinfandel, Petite Verdot, and Petite Sirah, is delicious. It was bolder than I expected, considering there is no Cab in this blend, and exceptionally juicy. The complex flavors of dark cherry, dark chocolate, strawberry and spicy oak were unexpected, but very welcome, with more tart strawberry and cocoa on a lingering finish. This was a deliciously unexpected wine at a nice price that I am going to add to my wine fridge ASAP. 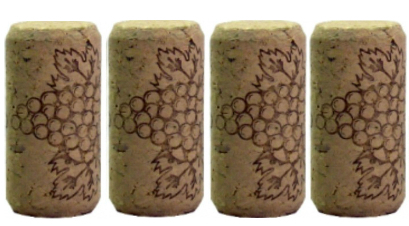 On my five-cork scale based on taste and value, I give the Sean Minor Nicole Marie blend four corks!